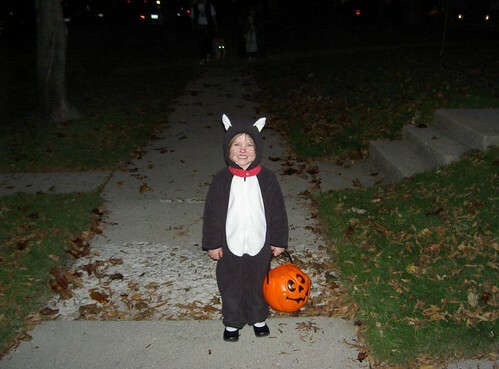 cheese.rox » Blog Archive » Wonderful Halloween! 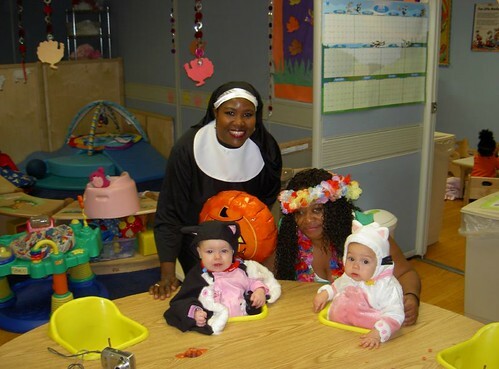 We had a lovely Halloween day! 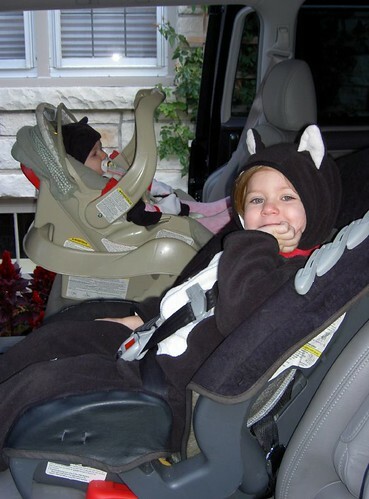 First, we loaded our two black and white kitties up in their car seats for a ride to daycare, where all the children wore costumes all day. 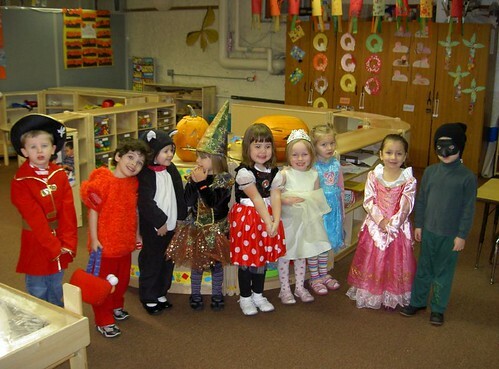 All the classrooms participated in a school parade inside to show their costumes to one another, and Emma even got to march in a ‘parade’ around the block, too, while all the kids from her class played rhythm instruments. 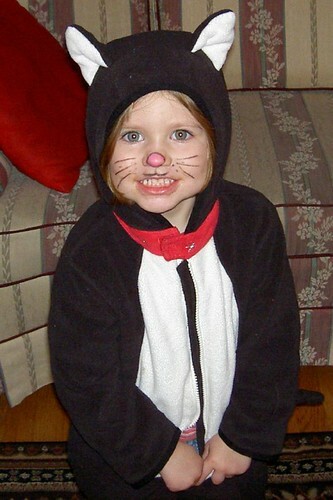 After ‘school,’ Emma trick or treated in our neighborhood, and announced that this was the best Halloween ever! We had lots of fun. This entry was posted on Sunday, November 2nd, 2008 at 8:20 pm	and is filed under Fun, Holidays. You can follow any responses to this entry through the RSS 2.0 feed. Both comments and pings are currently closed.